Disagreeing with the Church of England, a group of people broke away from the church and formed the “Society of Friends.” Called Quakers by puzzled society, they believed there was an “inner light” in each person and that people should worship God from the heart and with no external influences. The Quakers had “meeting houses” (not churches), had no pastors, and no order in their meetings – each person could speak or pray as he or she chose. They were also strict pacifists and would not defend themselves against persecution. Quakerism was a reaction to the rituals of the Church of England. Worship with the right heart attitude is Biblically correct, but the confusion of their meetings and lack of godly leadership lead to some Biblically questionable theology. It should be noted that Quakers were very focused on living their faith and sought practical ways to influence society; in later years, they were very influential in the temperance movements, societal reform, and abolition. 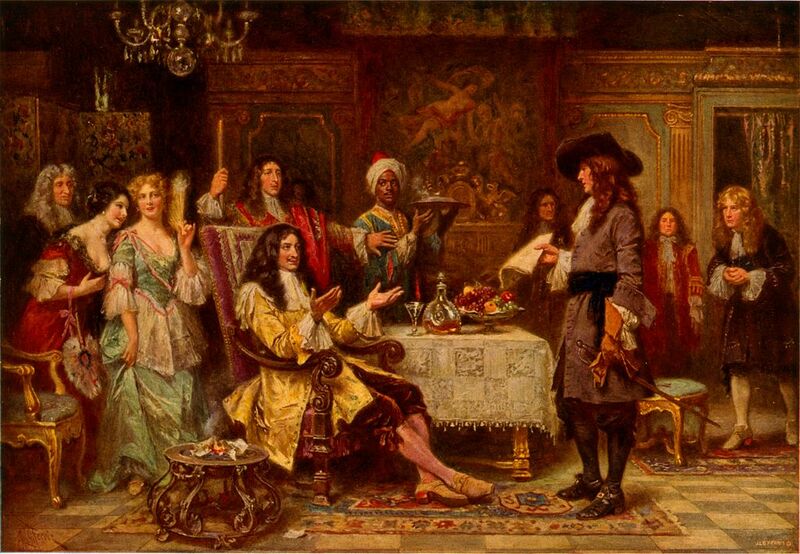 William Penn (standing, right) receives a colonial charter from the king. 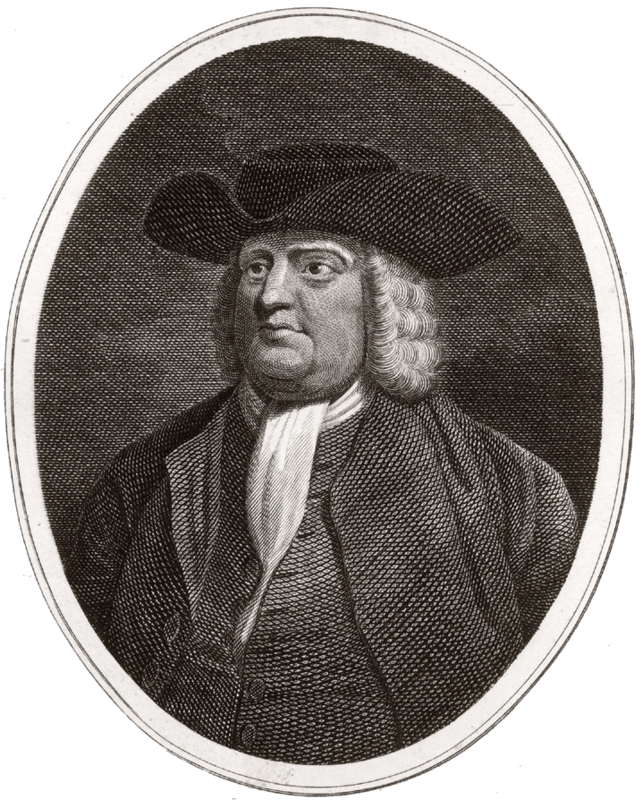 Born in 1644 to a privileged family, William Penn’s early life was filled with a religious quest and conflict. Meeting Quakers when he attended college, Penn was troubled by the religious questions of his era; he became reclusive in a effort to avoid arguments. Eventually, he began attending Quaker meetings. When Penn’s father heard about his son’s new religious pursuits, young Penn was disowned and thrown out of the family house. He took refuge with the Society of Friends. In the following years, he traveled, wrote pamphlets, and spent time in prison for his faith. Though he didn’t know it when he received the land, Penn’s colony would have a conflict with the Baltimores of Maryland because the king had accidentally given Penn part of Maryland. Conflict over the boundaries ensued until a survey in the mid-1700’s established the Mason-Dixon line which separated Pennsylvanian and Maryland (and later became the free state/slave state borderline). Penn called his colony a “holy experiment” because the land would be a refuge for Quakers. 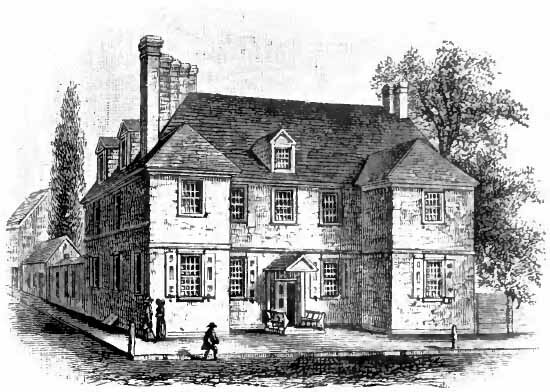 However, unlike Oglethorpe’s colony of Georgia, Penn was a businessman and wanted to make an honest profit from his venture. The first settlers of Pennsylvania arrived in 1681, and, the following year, William Penn brought more colonists. Philadelphia, “the city of brotherly love”, was established. Penn made many positive attempts to build the colony and bring new settlers from Europe. He sent back pamphlets which contained honest and beautiful accounts of the new land. To the arriving settlers, he sold land at reasonable prices and even rented plots if they couldn’t afford it at first. Penn was active in promoting good government in his colony. He allowed religious freedom, as long as people believed in “one almighty and eternal God.” The government process was relatively democratic and progressive for its era. William Penn treated the Native Americans fairly and bought the colonial land from them; as a result, there were peaceful relations between the colonists and native peoples for many years. Four years after Pennsylvania was founded, there were about 9,000 colonists, making it one of the fastest growing colonies. Inspired by the reports, reasonably priced land, and the promise of a new life, many Germans immigrated to Pennsylvania. Unfortunately, the English-speakers misunderstood or mispronounced “Deutsch” which is Germanic for “German” and called their new neighbors “Dutch” – thus creating the term “Pennsylvania Dutch.” The so-called “Pennsylvania Dutch” brought many Protestant religions with them, including Mennonite, Amish, German Reformed, and Dunkers. Philadelphia was transformed from a frontier town to a large and prosperous trading center. It became the largest city in Colonial America. The Penn family controlled their colony and took an active part in its government until the American War for Independence. So…how about the Quaker influence on early American history? Well, Pennsylvania prospered as a colony; the Quakers attended their church meetings, waited to be filled with the “inner light”, and oversaw their successful businesses. During the American War for Independence, several important battles were fought in Pennsylvania, but as a general rule, the Quakers did not fight in the war. However, they made some important contributions. For example, Betsy Ross – a Quaker – designed and stitched one of the first American flags. And Lydia Darragh spied for General Washington (you can read the story here). Philadelphia was the city were the Declaration of Independence was signed, the Liberty Bell was rung, and the Constitution was framed! In later decades, Quaker continued to have a positive influence in America. They were particularly active in running the Underground Railroad, helping slaves escape from the South and find freedom in the North or Canada. They advocated strongly for abolition of slavery. Pennsylvania – “the holy experiment” of the Quakers – was a leading colony and state in early American history, and the practical faith of its people played a significant role in our nation’s past. P.S. What benefits have come from America’s offered freedoms to immigrants?